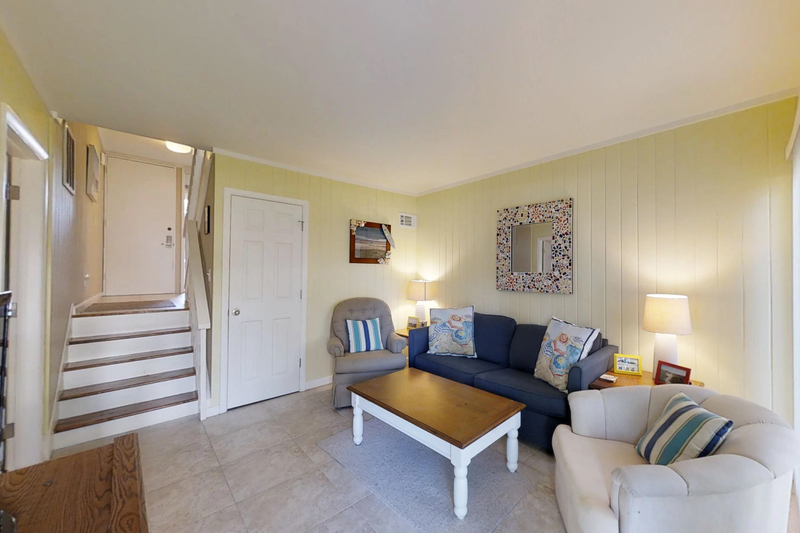 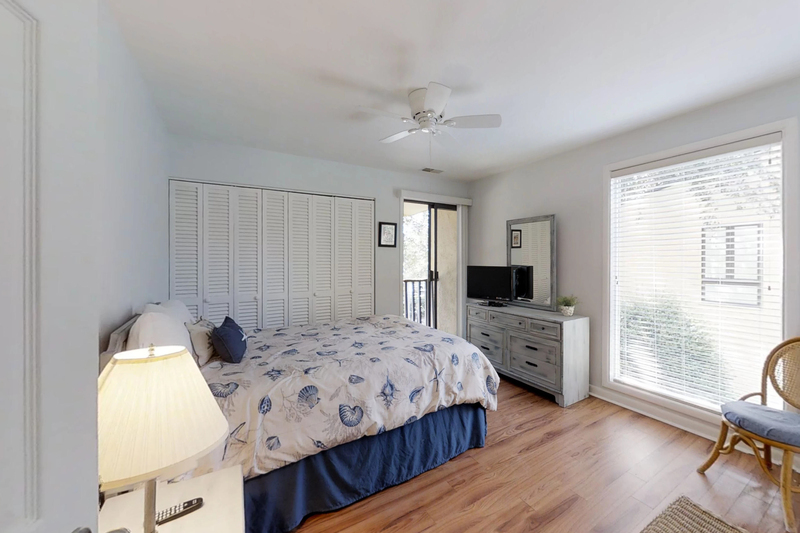 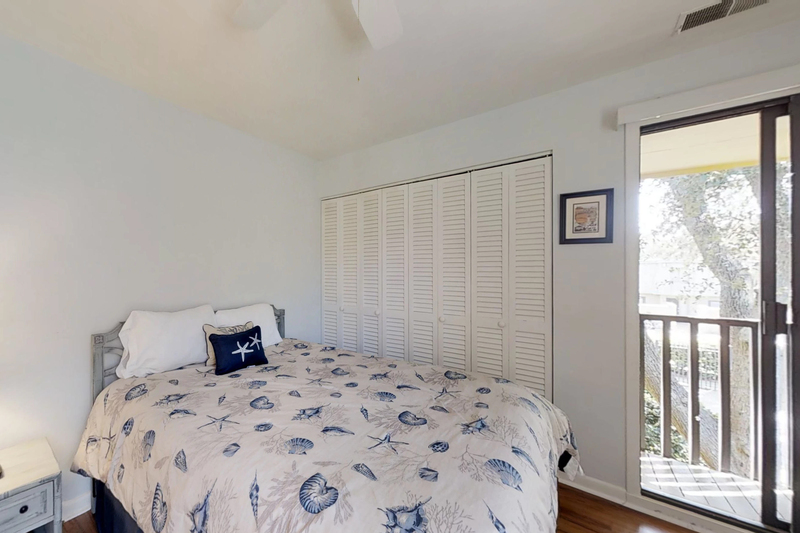 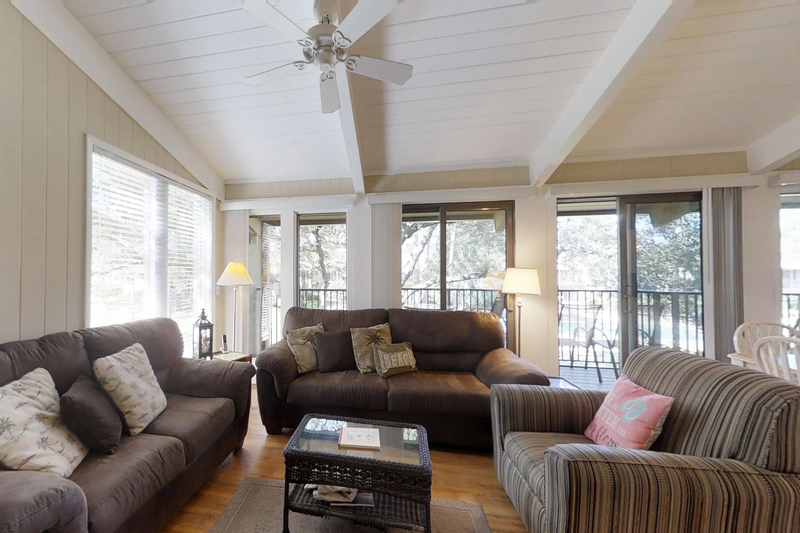 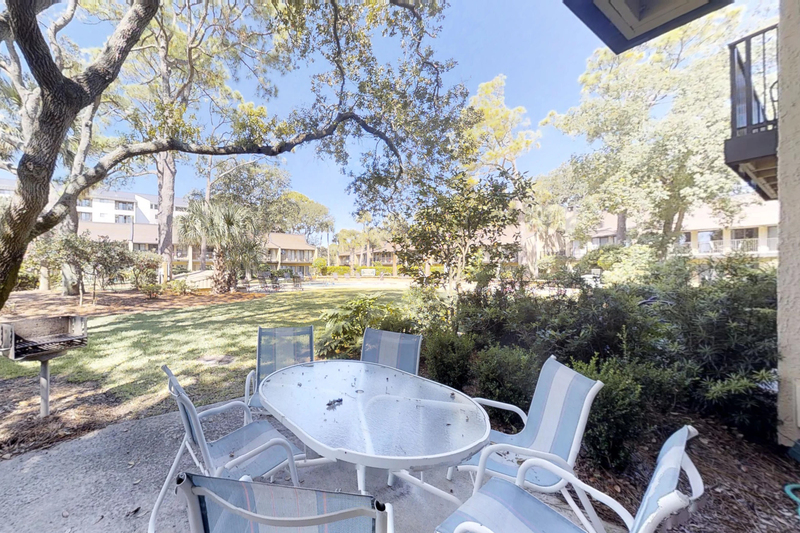 This three story townhome in the oceanfront complex of Hilton Head Beach Villas, enjoys landscape views with peeks of the ocean from the kitchen and deck and a spacious floor plan. 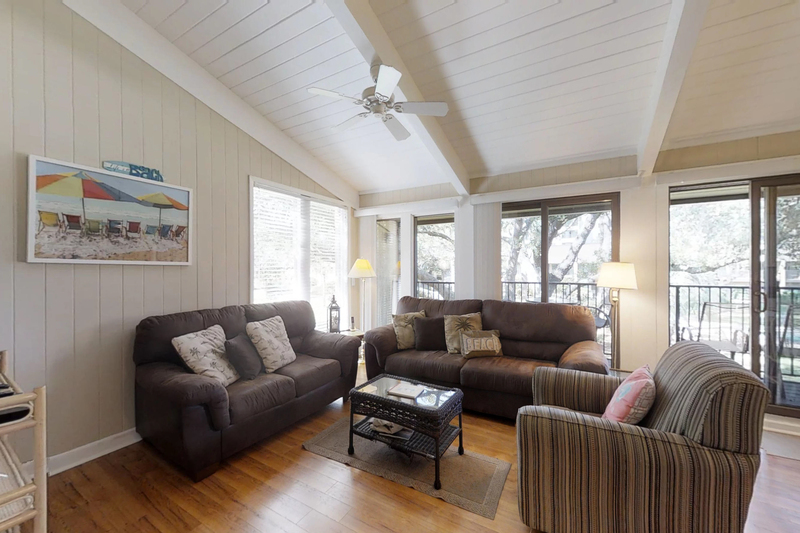 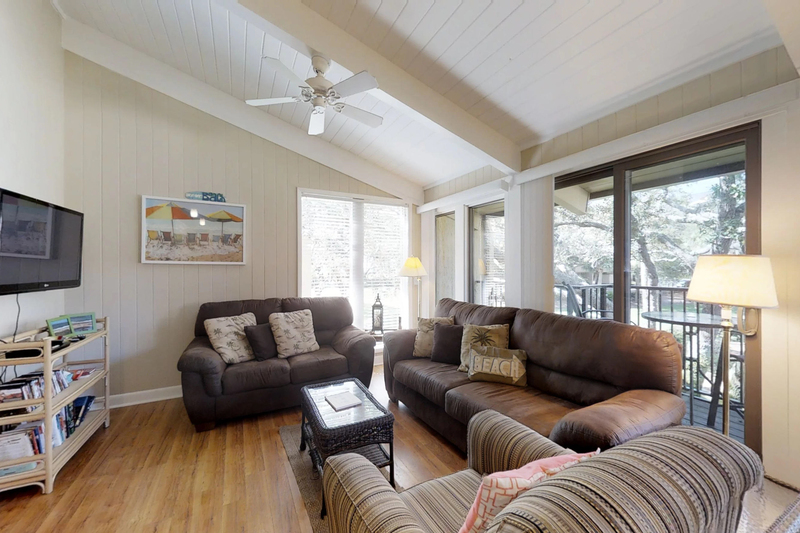 The first floor of the villa consists of a den with sleeper sofa, 32" flat screen TV with Blue-Ray DVD player, and access to the patio with great outdoor lawn for kids to play. 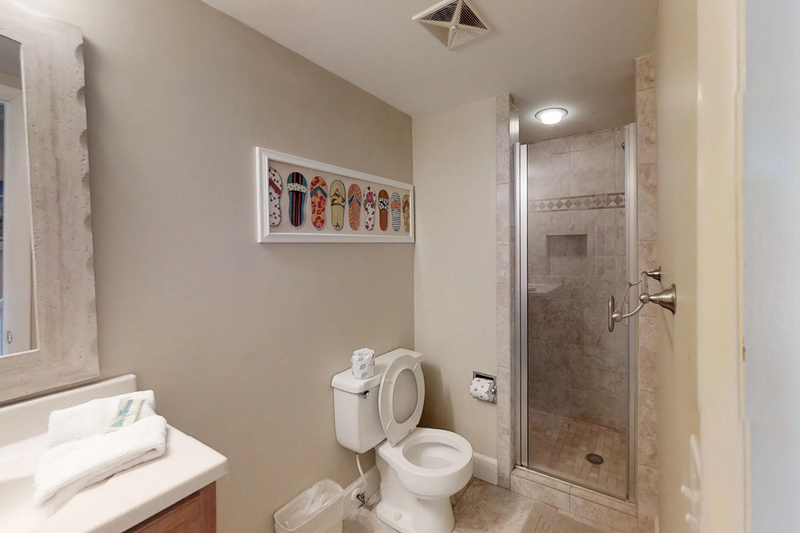 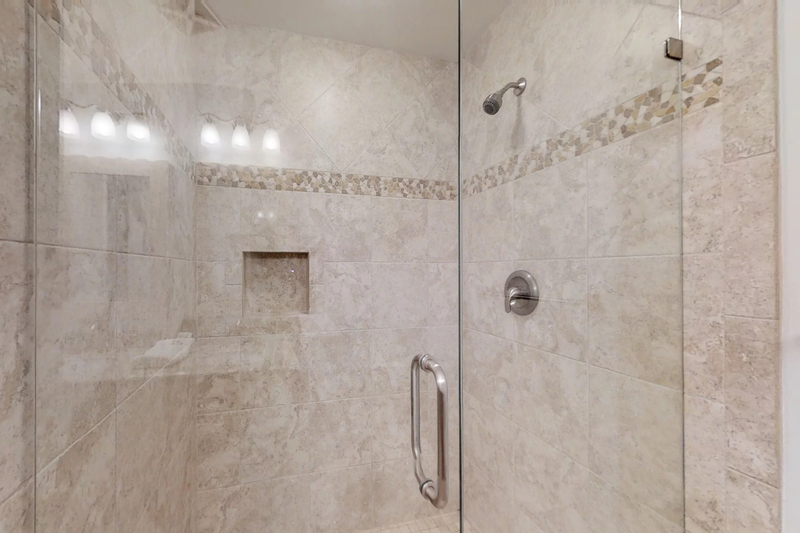 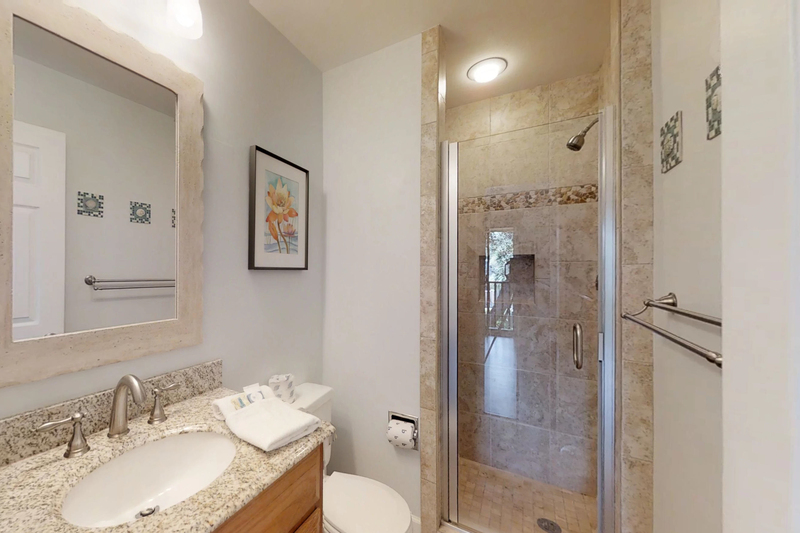 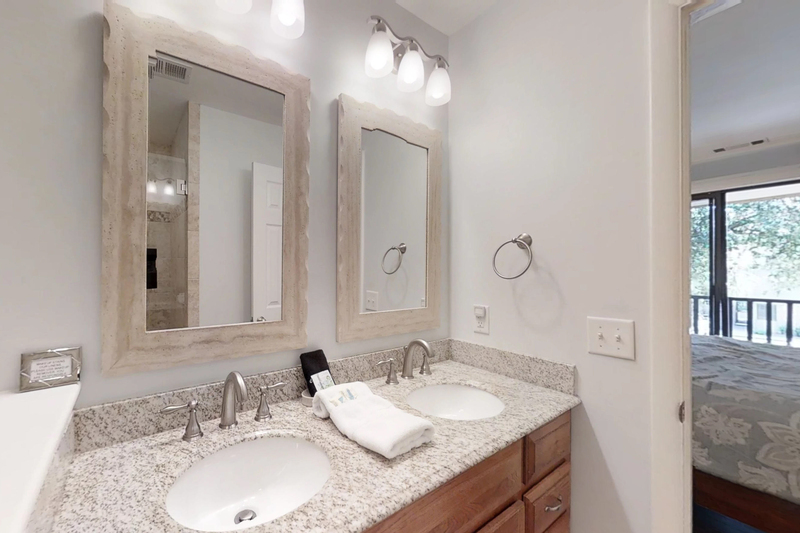 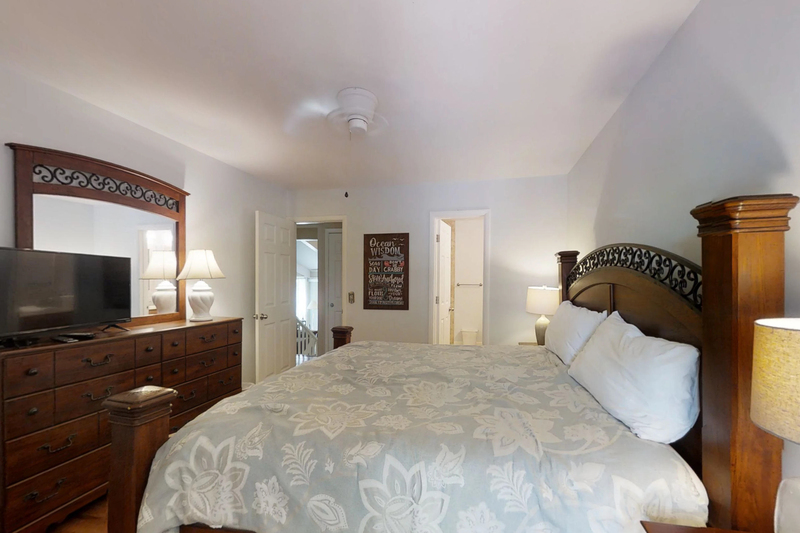 The twin bedroom is also on this level and the bathroom in the hall features a walk-in shower. 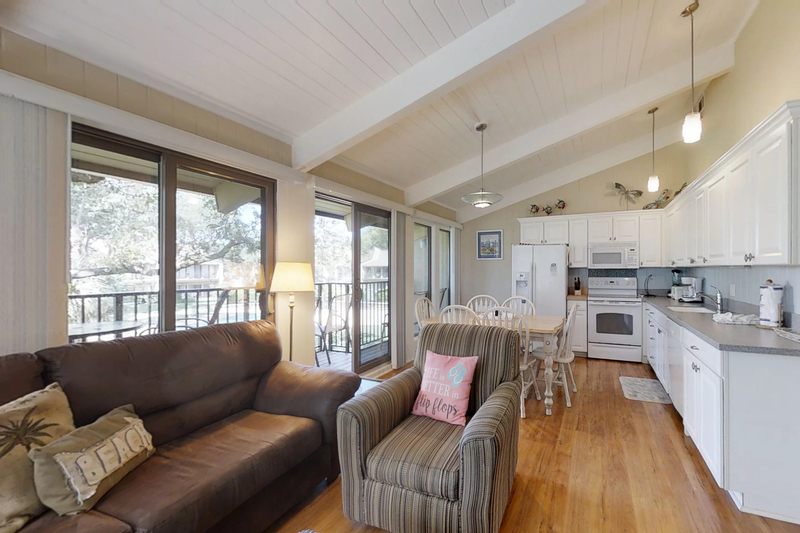 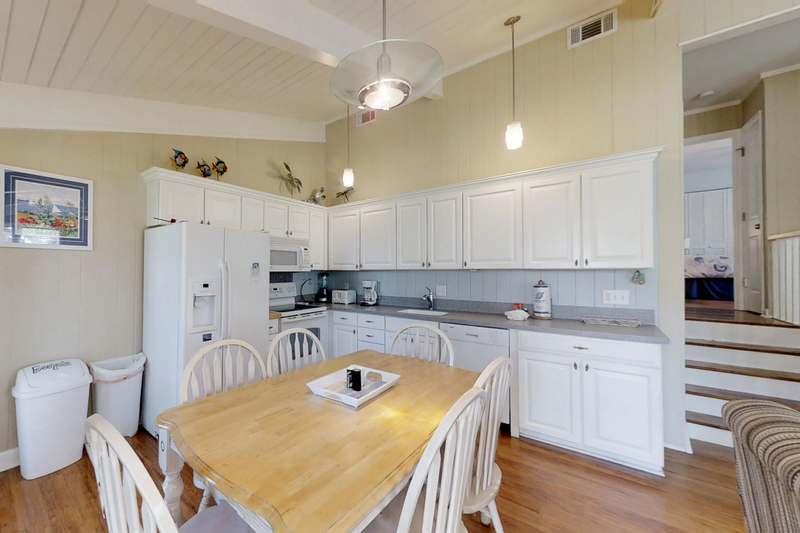 The main floor has open kitchen, living, and dining areas with a slider door leading to the deck off the kitchen. 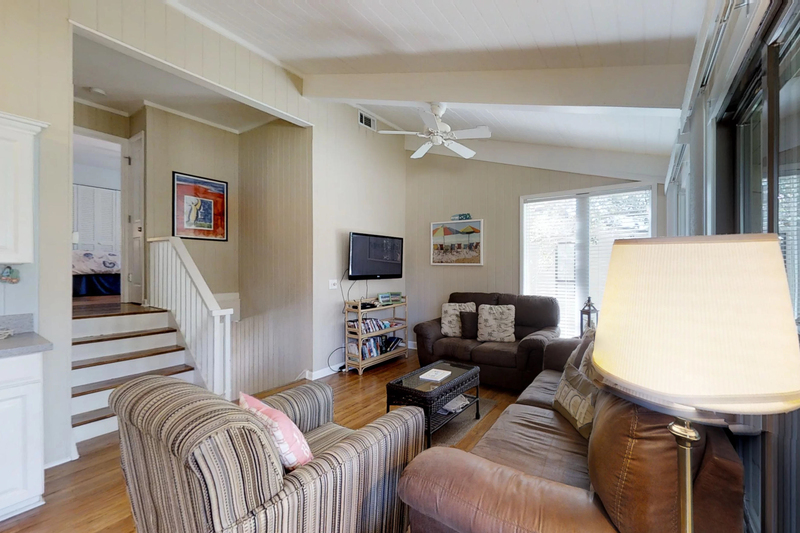 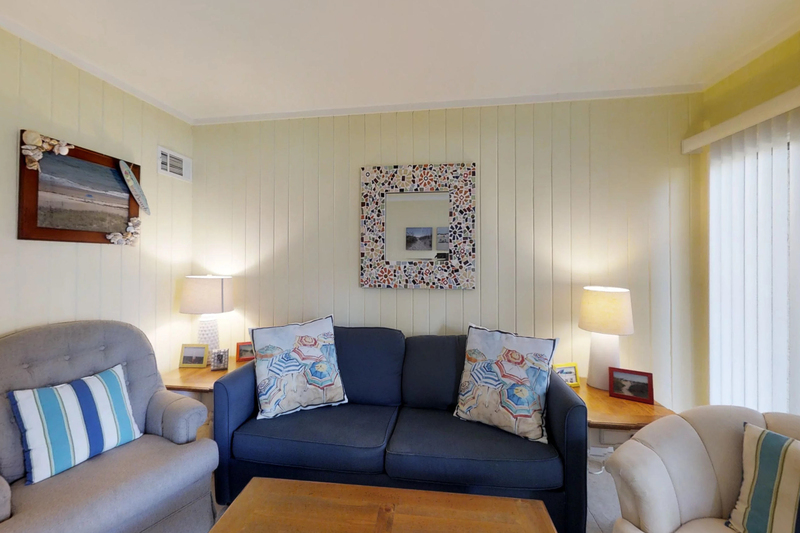 The living room is furnished with a 32" flat screen TV and Blue-Ray DVD player. 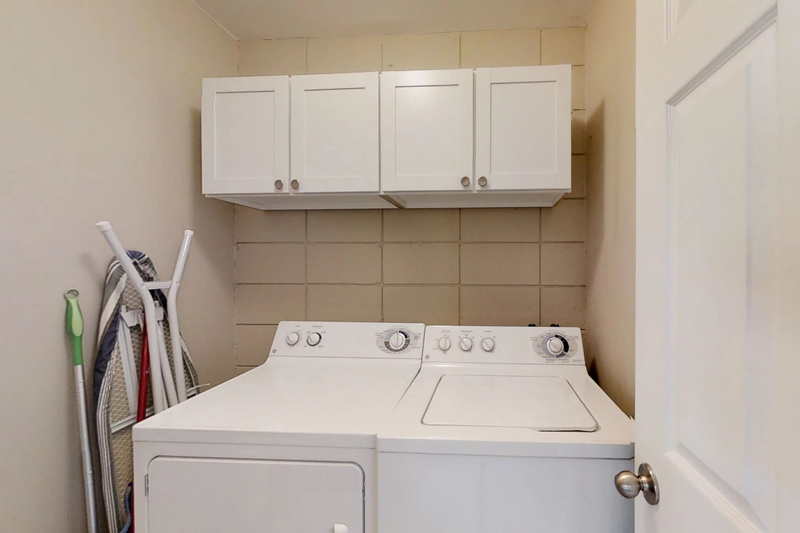 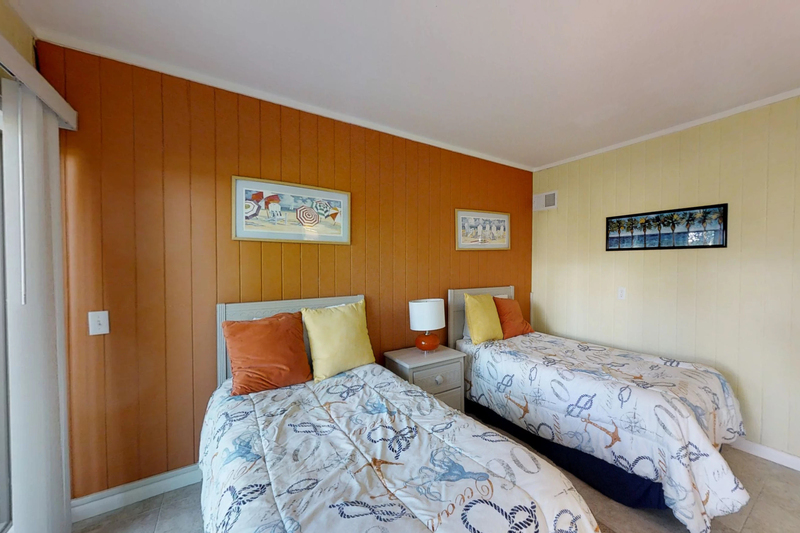 The other two bedrooms are on the third floor. 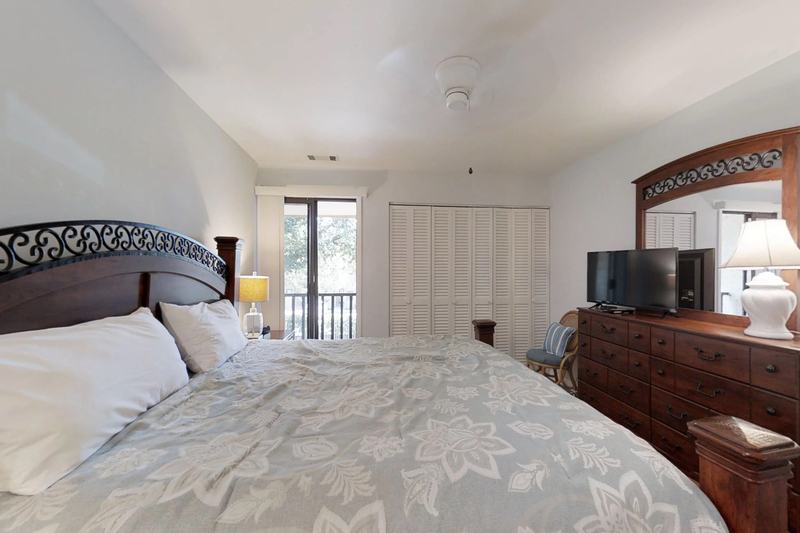 The master is with a king bed, 26" flat screen TV and private bathroom witha walk in shower. 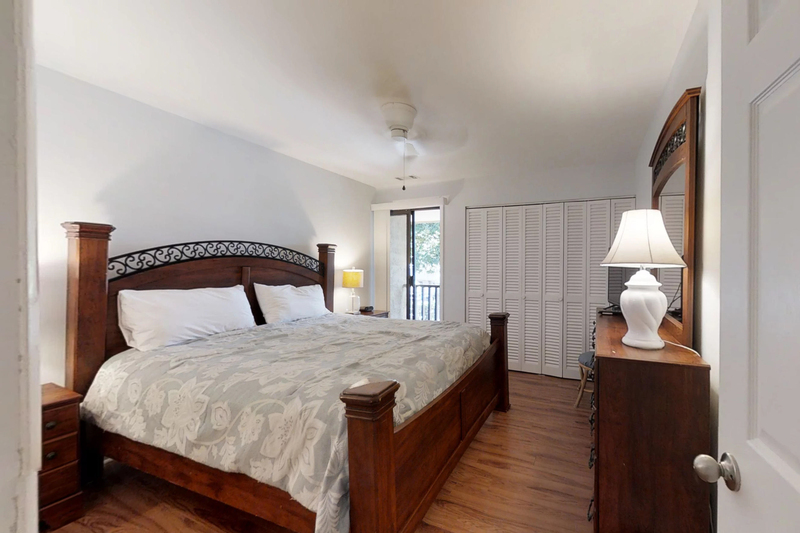 The other bedroom has a queen bed, 26"flat screen TV and features a walk-in shower in the private bathroom. 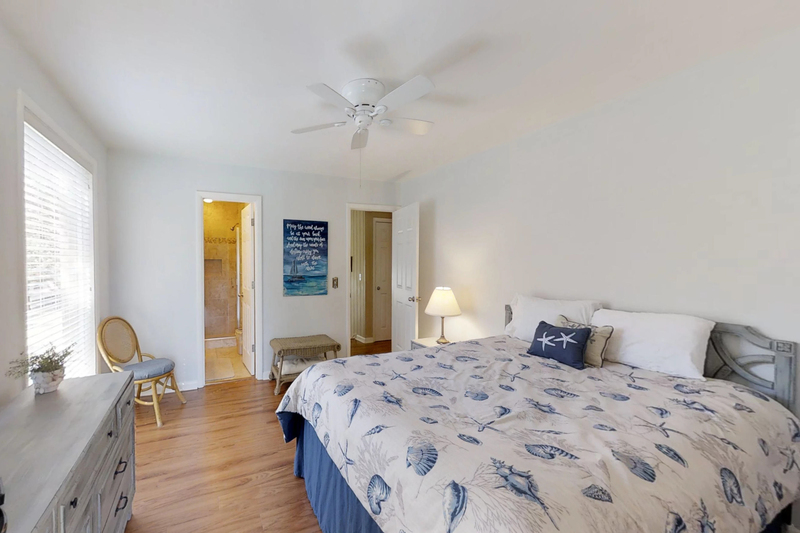 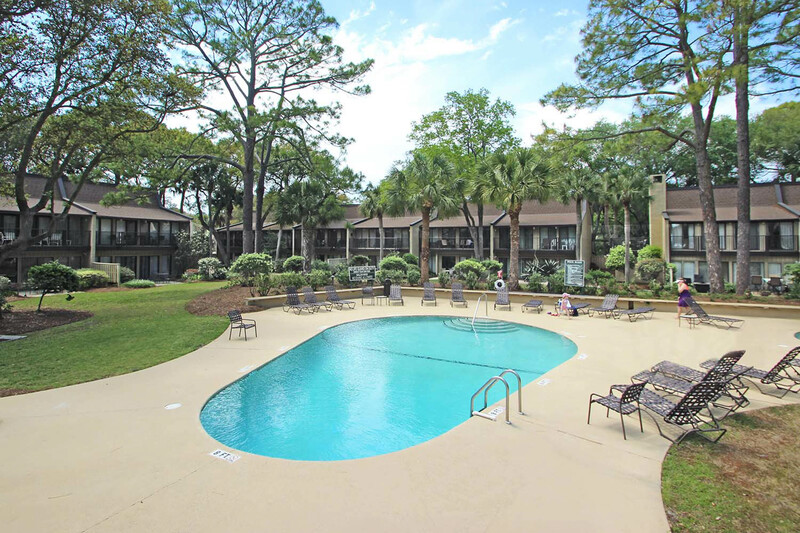 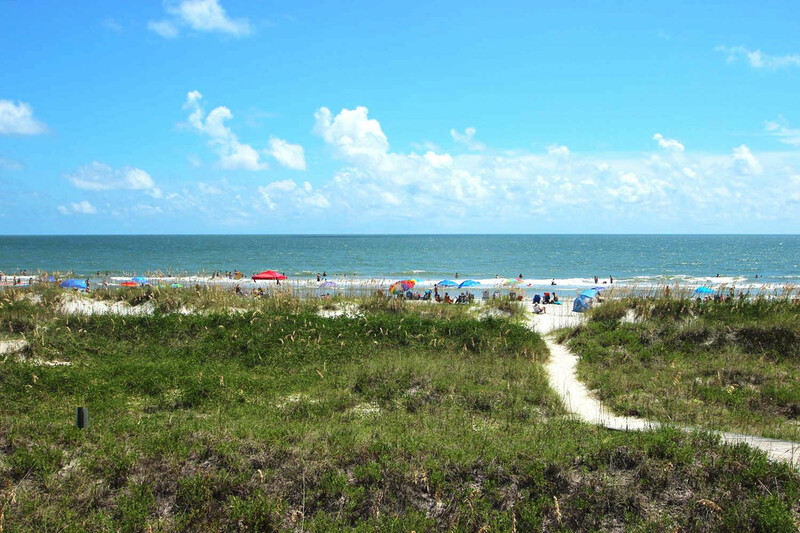 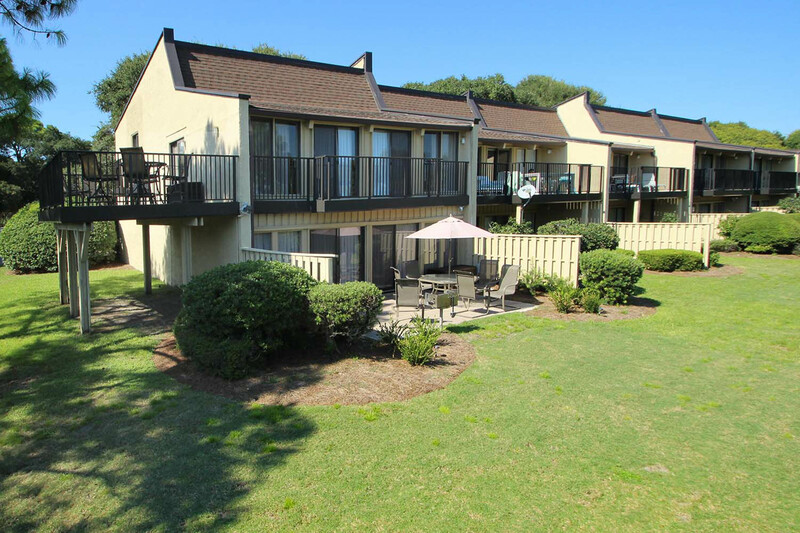 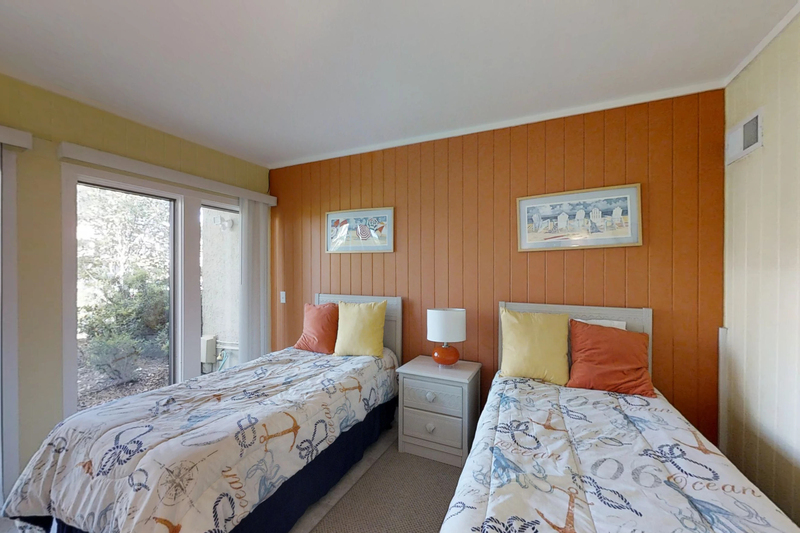 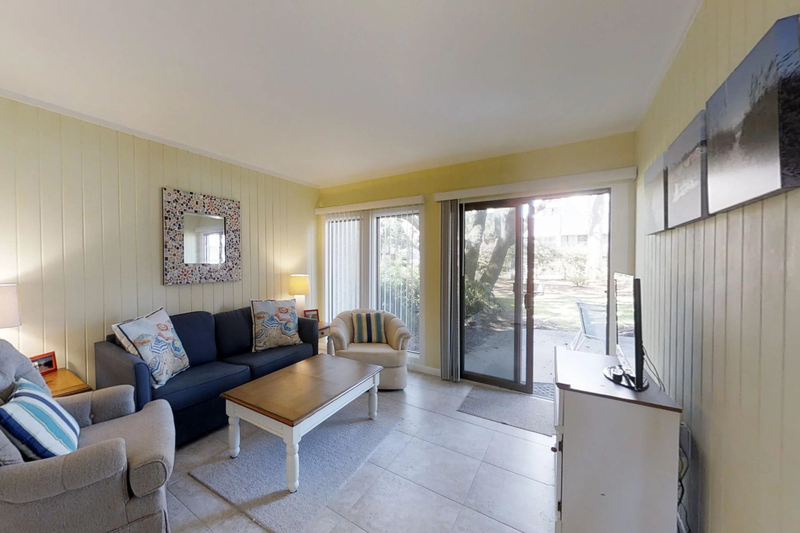 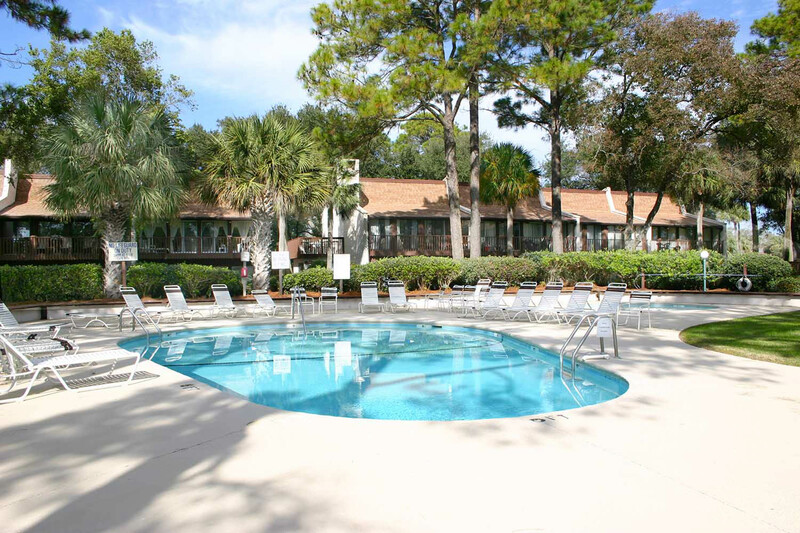 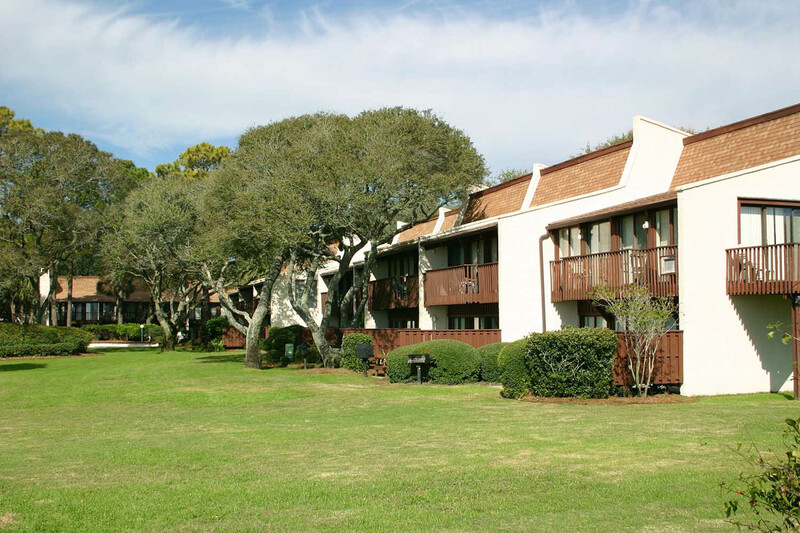 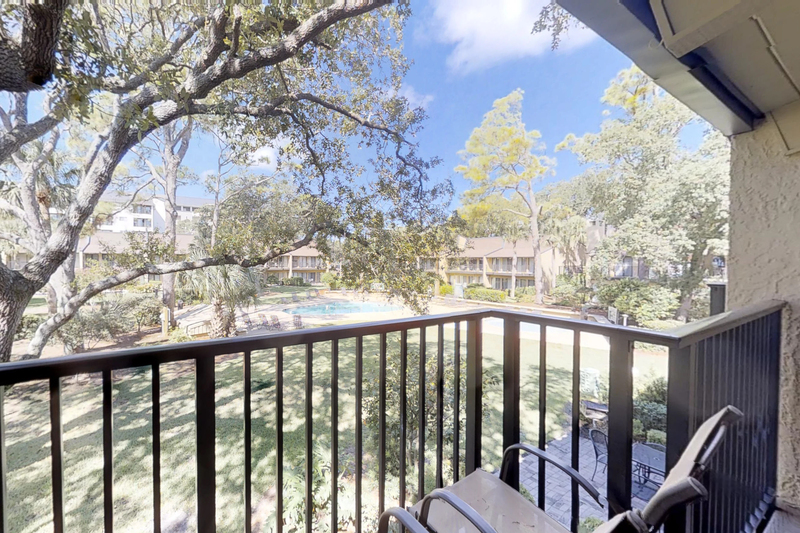 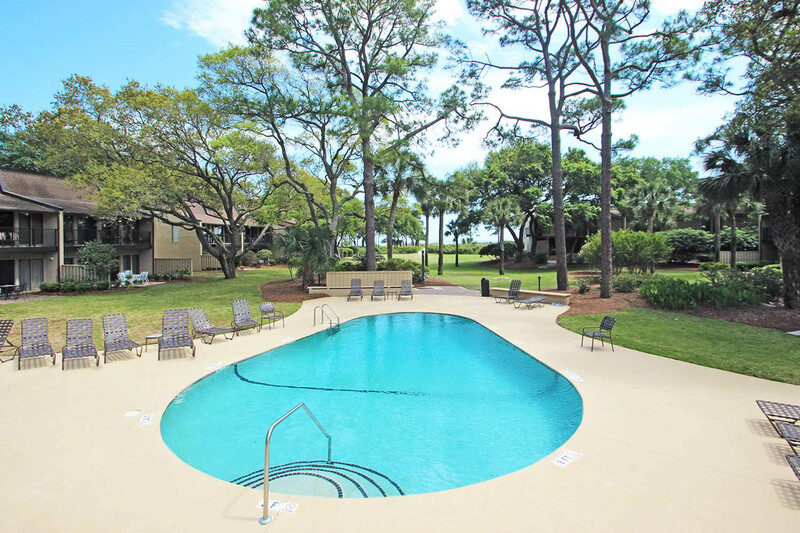 Hilton Head Beach Villas is a spacious 30-unit oceanfront townhome complex spectacularly located on one of the most prized, low-density beachfront properties on the island. 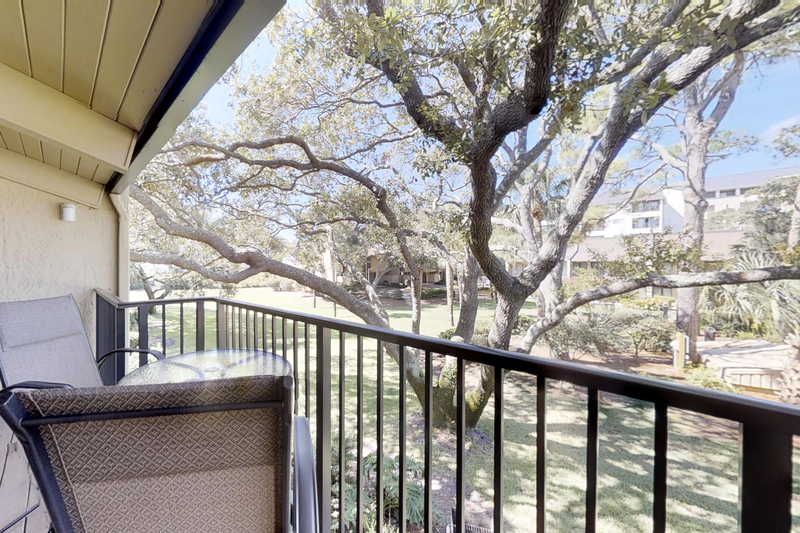 Parking for two vehicles is available at the front entry of each villa with a covered carport for one.